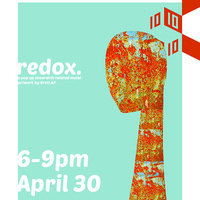 Gallery 1010 is a contemporary art exhibition space located at 1150 McCalla Ave. in downtown Knoxville, Tennessee. One of three University of Tennessee School of Art galleries, Gallery 1010 is the only fully student-run, non-profit, off-campus exhibition space in the state of Tennessee. Exhibitions feature work from University of Tennessee students and alumni, as well as artists from other universities and community programs.